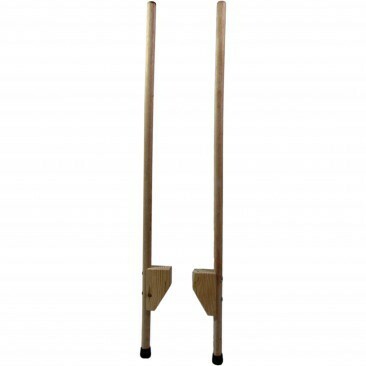 These simple yet effective hold on stilts are great for kids. The wood has been smoothed to a splinter free finish and the foot platforms feel strong. The rubber feet are robust and add a little grip. Basic design and lots of fun!